Down Syndrome Queensland has registered as an NDIS Provider to provide services to any eligible person in Queensland. There are a range of services that we offer that can be funded through an NDIS Plan. In many cases these services were previously funded or subsidised via funding that Down Syndrome Queensland received from State Government. Families need to be proactive in organising their NDIS funding in order to access these services. Please contact us for an NDIS quote or for more information. Training for Therapists - Recommend 2hr session for each provider in the plan. 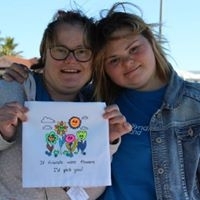 Down Syndrome Queensland can provide more information for you to take to your planning meeting, and we have a pre-planning workbook that can help you prepare for the meeting. We are also holding a range of information sessions if you’d like to learn more about what the NDIS means to you and your family.